SO…YOU’RE EMAILING COACHES ON YOUR OWN…YOU’VE ATTENDED SOME SHOWCASES…YOUR CLUB COACH EMAILED SOME SCHOOLS FOR YOU…YOU’RE ON MAILING LISTS FOR BIG SCHOOLS ABOUT THEIR CAMPS…YOU’RE DOING ALL THE SAME THINGS YOUR BUDDIES ARE DOING. SO WHY DO YOU NEED US? There are hundreds of showcases and camps to go to, but it’s just not possible to go to everyone and it gets expensive. We’ll save you a lot of time and money letting you know which showcases and camps to attend…and don’t worry, we don’t have any showcase affiliations or ulterior motives. Our method assures each athlete is fit to schools that meet their goals. We provide you with a valuation. We see your worth rather than most club coaches who make a judgement on you. While we strongly believe that with hard work and dedication players can and will grow athletically and academically, it is critical that players and families see our valuations. Before reaching out to any programs, we sit down with each player and family and focus on understanding goals at the next level: athletic, academic, geographic, campus life, etc. A perfect fit for one athlete is rarely (if ever) perfect for another. We use these goals to drive the process. We produce prospect videos for each of our players. We also create a recruiting profile to highlight the athlete…other places provide similar services, but we are constantly working with coaches and recruiters to make sure ours is the best. Using everything that we’ve learned about an athlete, we determine exactly which programs fit their needs. We’ve built a reputation nationwide and coaches know that we’ll only contact them about players that fit their programs. It’s this trust from coaches that gives our athletes true exposure. OUR FOCUS ON THE COLLEGE RECRUITING PROCESS SETS US APART FROM CLUB BASEBALL AND NATIONAL RECRUITING SERVICES. WE’RE NOT A FACTORY THAT IS TRYING TO WORK WITH EVERYONE WILLING TO PAY. We are very careful and deliberate about reaching out to programs. We will never contact a program that we don’t think a player fits. Coaches REALLY appreciate this. If we did reach out to every top level program for everyone of our athletes regardless of fit, the coaches would lose faith in us and quit taking our calls. For this reason, coaches know that when we contact them about a player, it’s going to be worth their time. If a player isn’t skilled enough or would never attend the school for other reasons, we won’t waste the coaches’ time (or our own or the player/families). We act as an extra filter for coaches looking to fill their rosters. We’re constantly watching baseball at every level. We identify next level talent. We literally evaluate thousands of high school players every season. We attend college games from power five D1 schools through D3, NAIA and JuCo. This helps us keep our pulse on where players fit and what type of players different programs recruit. If coaches can rely on us for unbiased evaluations, they save significant time. We are honest with players, families, and coaches about where we think a player fits. We work tirelessly to get our players into the best programs possible, but we’ll never promise scholarships, D1 offers, etc. We know players grow and improve with hard work and we are in constant contact with our players to keep our eyes on these improvements. We set realistic expectations with our players based on our knowledge of college baseball. Coaches know we’re not trying to squeeze our players into programs they don’t belong. While other teams and companies try to oversell their players for bragging rights to future players, we know that approach will destroy the trust of our coaches. We love challenging our players and have faith in their growth, but we have no desire to push a player into a situation they don’t belong. Coaches know that, unlike these other teams and companies, we’ll be honest with them. Stop paying for a “recruiting service” and take control of your baseball destiny. We DO NOT guarantee scholarships of any sort. vital that you have someone in your corner during this crucial process. 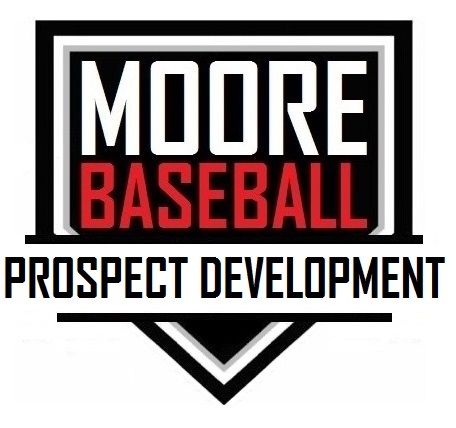 We DO NOT contact any MLB teams or scouts on your behalf.